March 2nd would have been the 107th birthday of the talented Dr. Suess. I’d be willing to bet I have the full collection of his forty-four children’s books in my parent’s attic. I couldn’t get enough of The Cat In The Hat as a kid. And to this day, I maintain The Cat In The Hat Comes Back is still the best sequel I know. 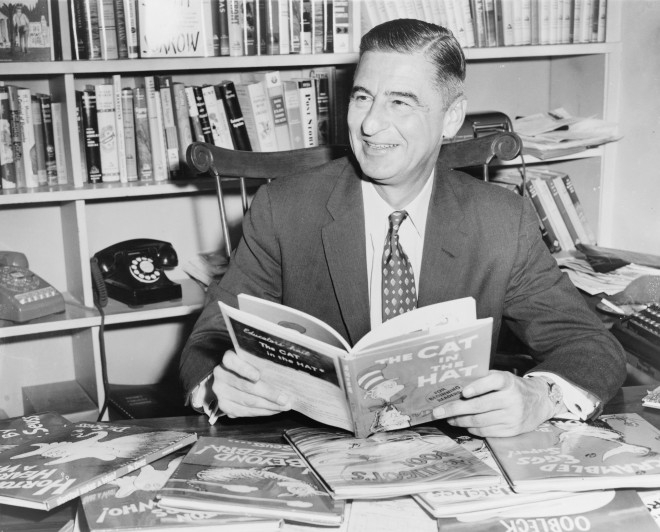 Happy Birthday Theodor Suess Geisel! I think its only right that your birthday is also the annual date for National Read Across America Day. Reading was one of my favorite pastimes as a child and now I wish I had more time to get lost between the pages of a good novel. Thanks for starting me off right. You played a big role in my love of reading and for that, I am forever indebted. Tall striped hats off to you! I sincerly love this letter in particular, “Goodnight Moon” was one of my favorites as a child. I now have a young daughter and I buy alot of Einstein books but believe I need to go back to the basics.